All kinds of LAN firmly rooted in our daily life. It is difficult to imagine a house or apartment where you have multiple computers or laptops that are not connected by network cables or combined in a common wireless network. When creating a wired LAN, sometimes there is a need to extend the network cable. If you want to connect two network cables without any financial costs you'll need adhesive tape and sharp knife. Cut off one connector from each cable. Remove the outer cable insulation, but in no case do not clean the internal veins. Now clean for about two-thirds of all the wires inside the outer braid. This is necessary in order to correct pairs to splice the wires. This operation is same for both cables you plan to connect. 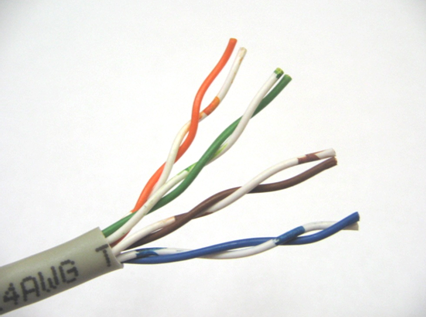 Now, connect the two wires of the same color from different cables. To do this, cross them at the base and twist with each other. Wrap received the connection with insulating tape. Repeat these steps for all the other loose wires. The entire structure re-wrap with electrical tape to avoid broken connections. If you have the opportunity to spend a small amount of money, then buy a single-port switch. Just paste in different connectors ends network cable. 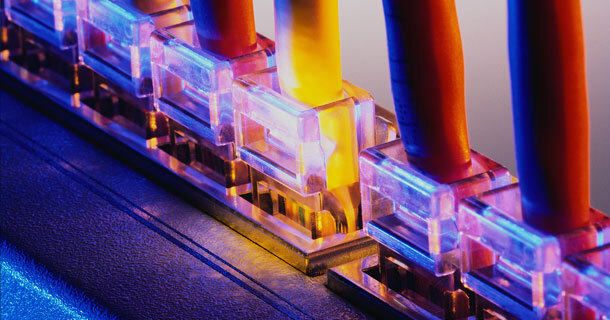 If you need to connect a few network cables or branching one cable, get a switch with the necessary number of ports.